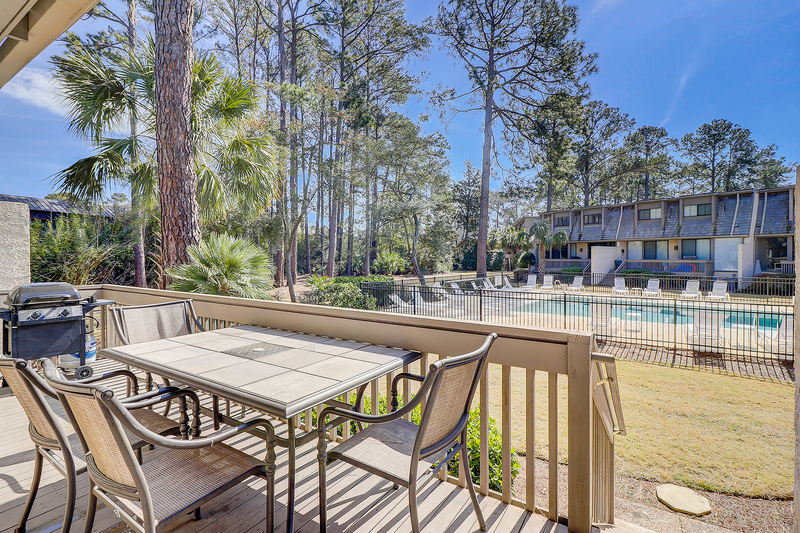 1253 Harbour Town Club is a highly desired, professionally decorated, multi-level townhome located right in the heart of Harbour Town in Sea Pines Plantation. 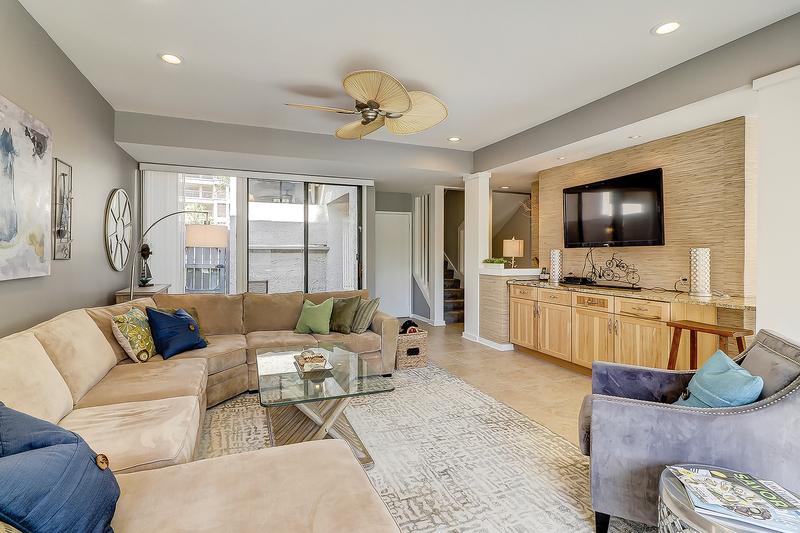 All 3 bedrooms have new wood flooring, and the stairs and hall carpeting was also replaced in early 2018. 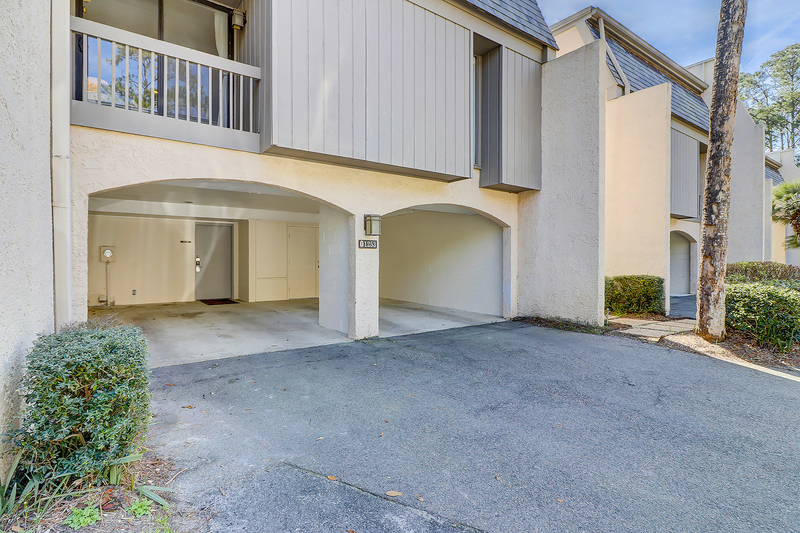 Pull right in to your private covered parking area and ascend a small staircase to the main floor. 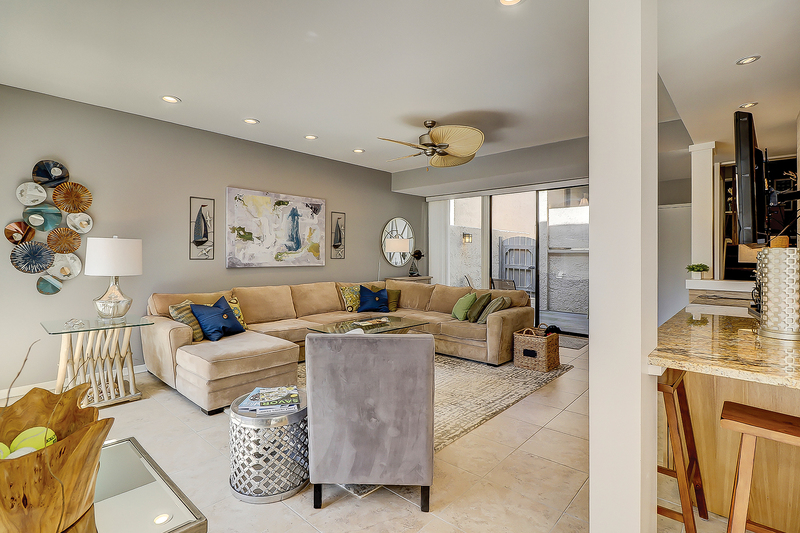 The living room provides plenty of comfortable seating, a wall mounted flat screen TV and access to the private balcony overlooking the pool area. 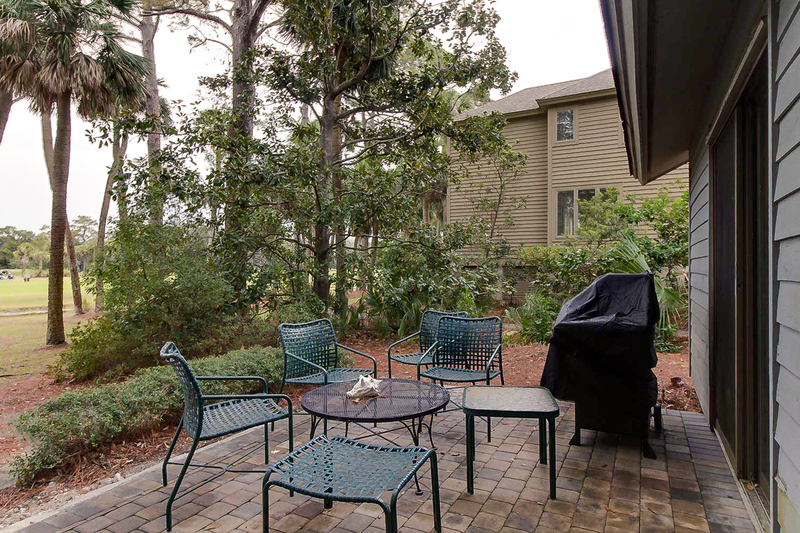 The balcony features a large table and chair set and a gas grill, perfect for outdoor dining and relaxing! 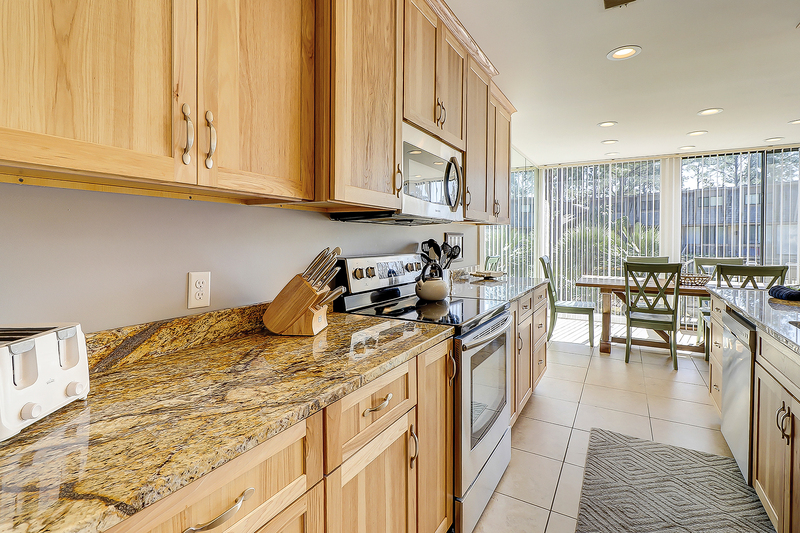 Just off the living area is the dining room and kitchen. 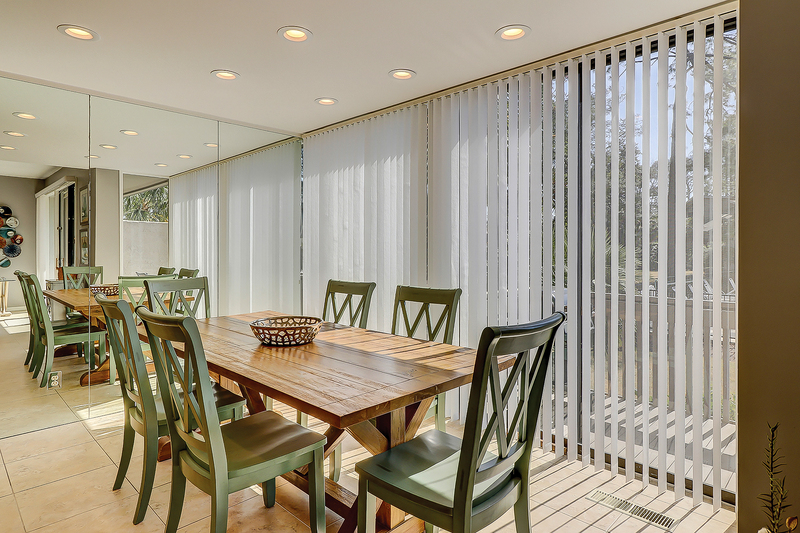 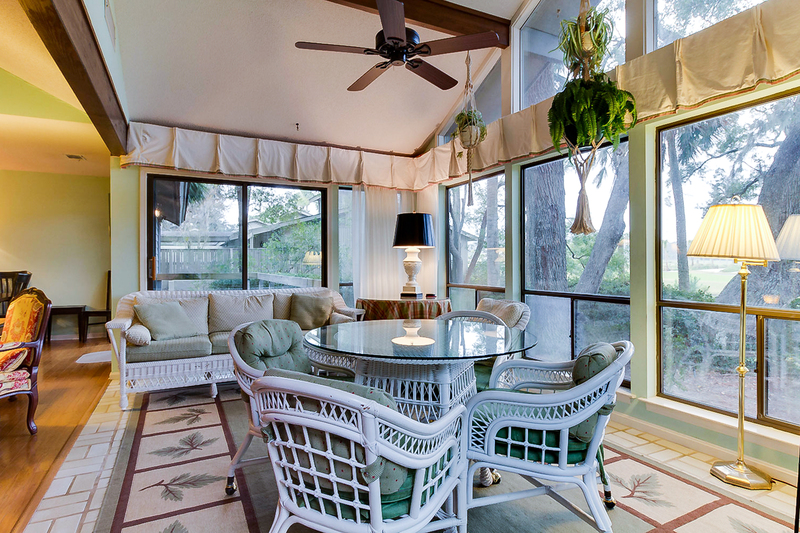 Floor to ceiling windows allow lots of natural light. 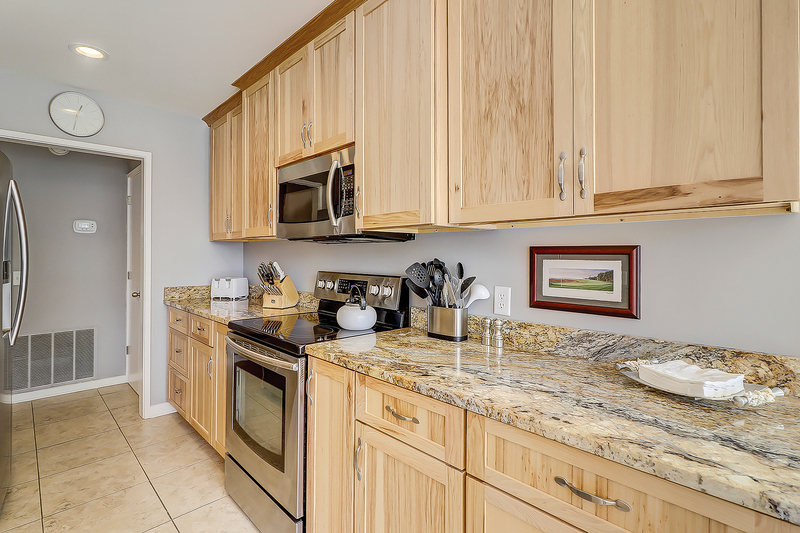 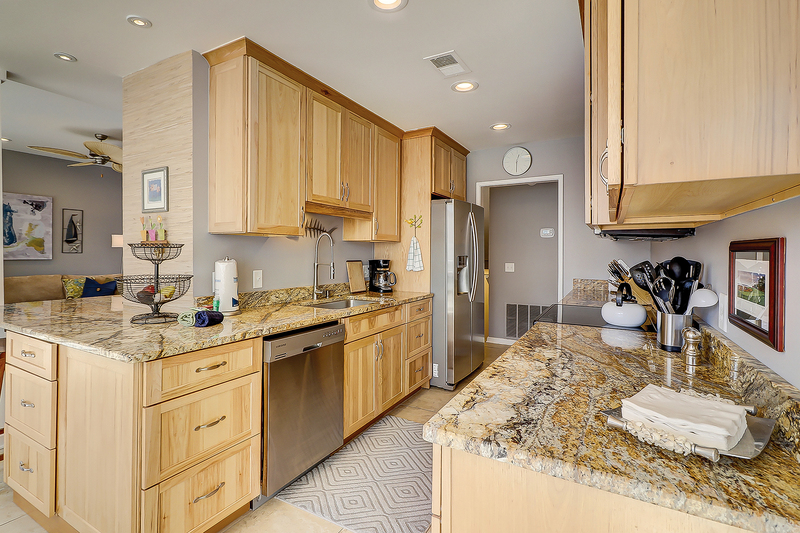 The kitchen is open to the dining area and features saturnia flooring, granite countertops and stainless appliances. 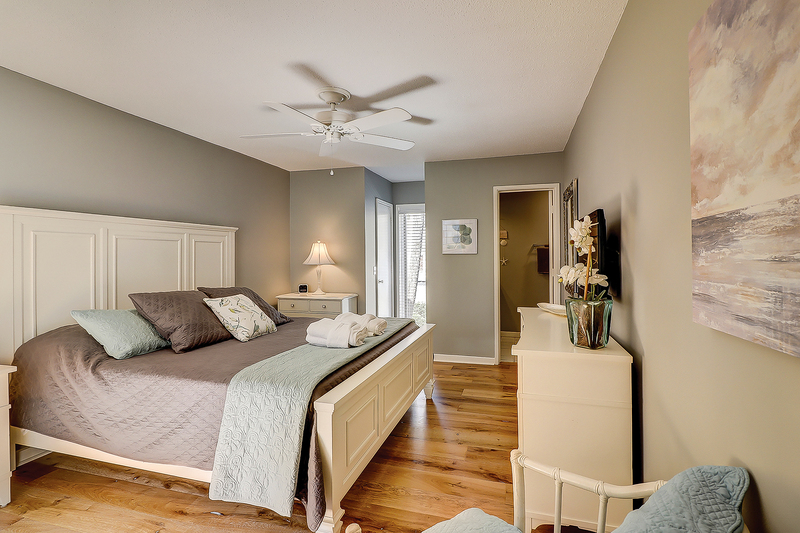 Ascending the stairs to the 2nd floor, you’ll find the two guest bedrooms. 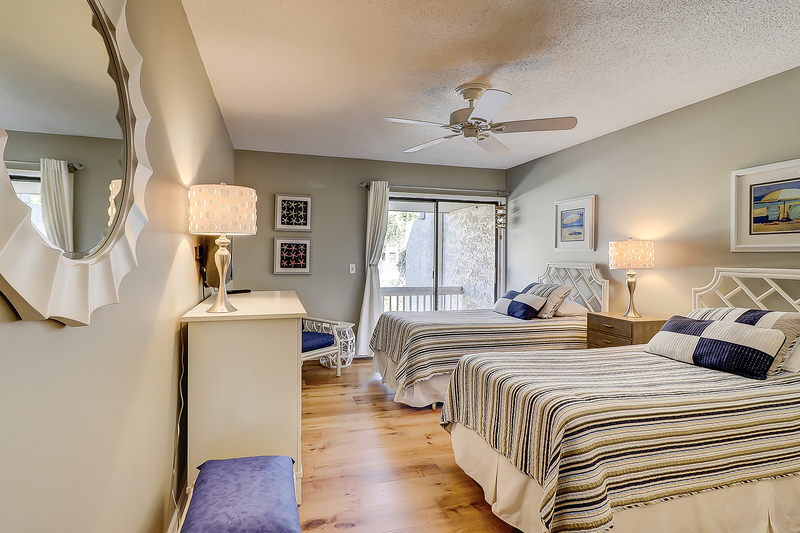 The first room features a king bed, flat screen TV, private balcony and private, renovated bathroom with a tub/shower combination. 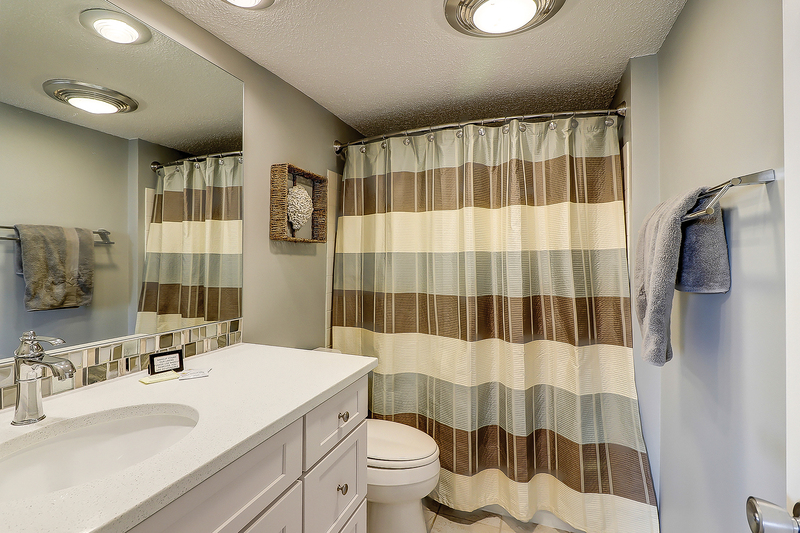 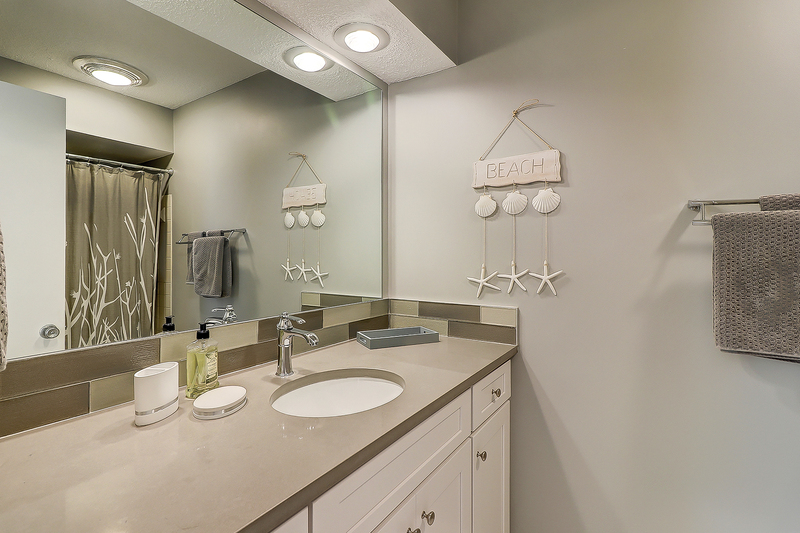 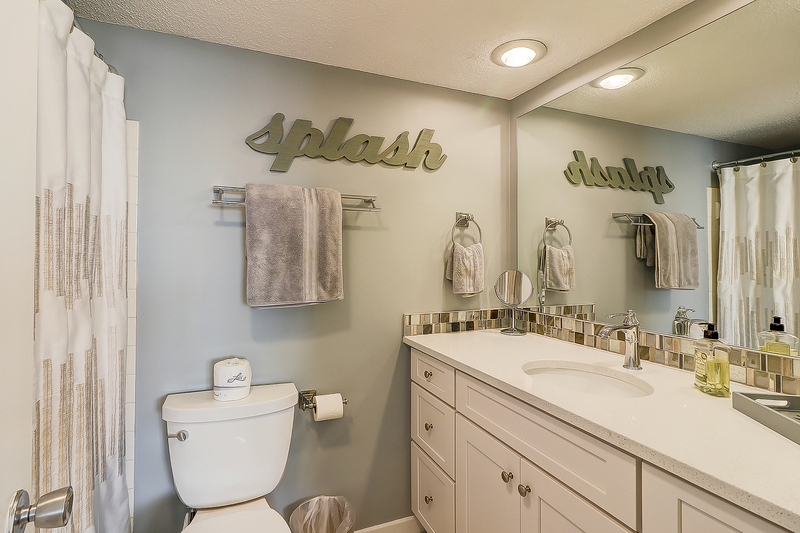 This bathroom features a new vanity and stunning tile work. 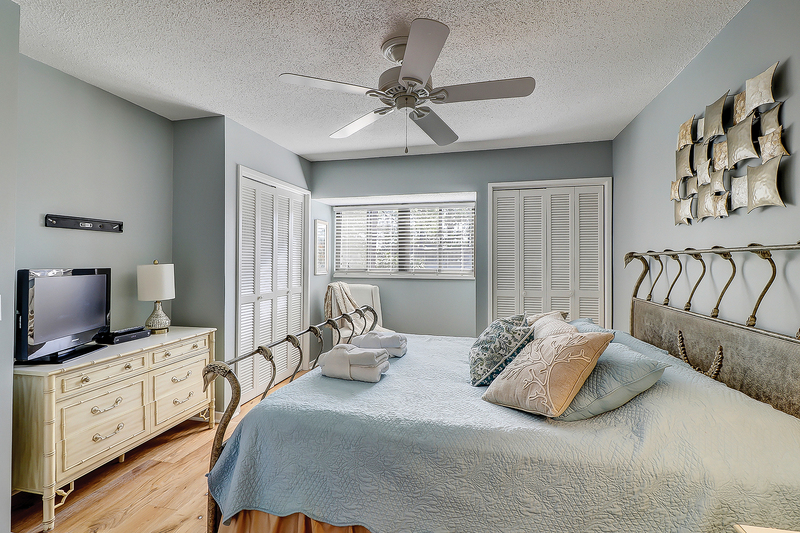 The second guest bedroom features two twin beds, a private balcony and a private, remodeled bath with a new vanity, backsplash and a tub/shower combination. 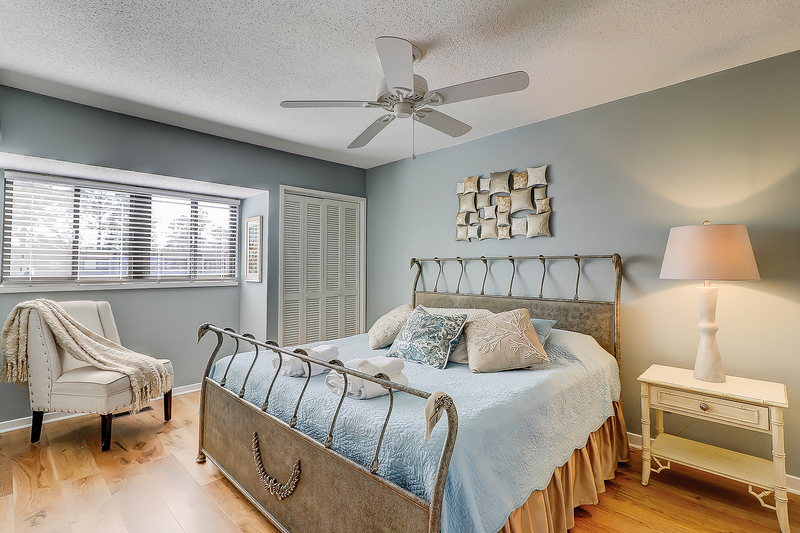 The third level of the home features two master suites, both with views of the swimming pool. 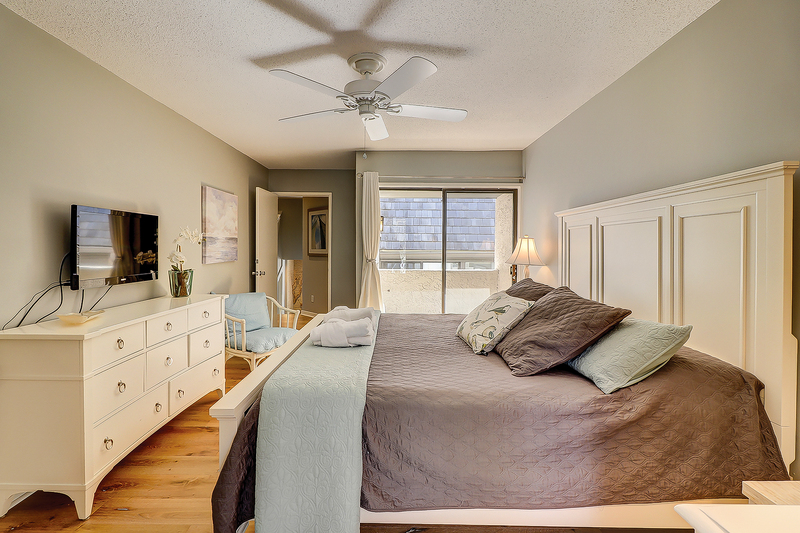 One bedroom features a king bed and a flat screen TV. 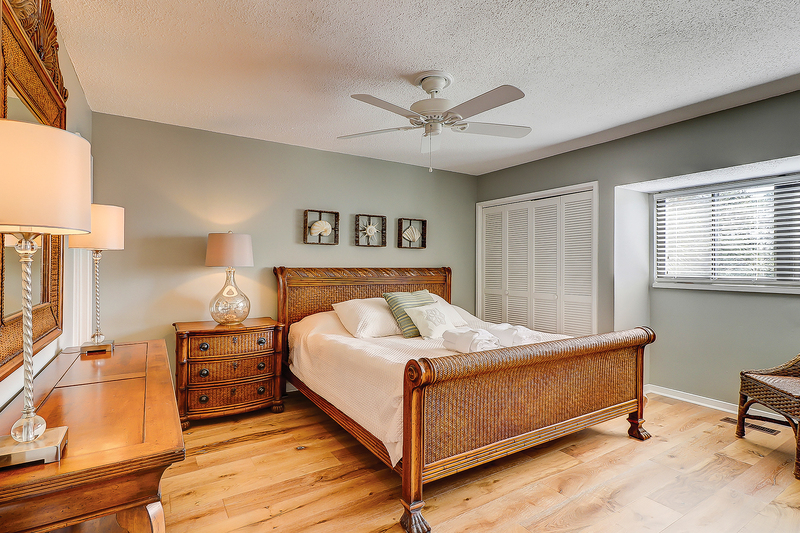 The second master features a king bed. 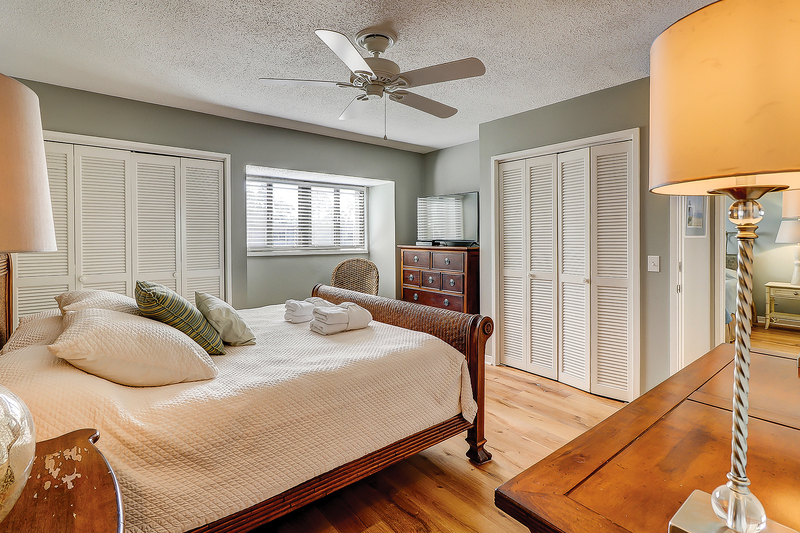 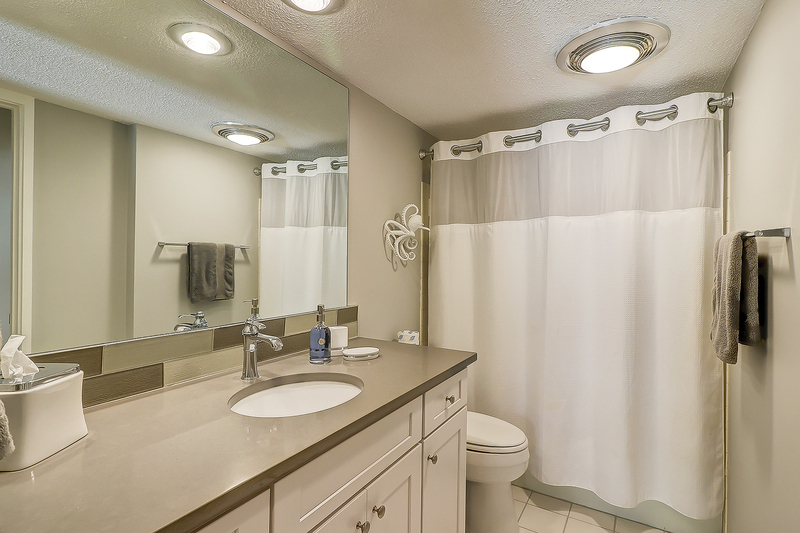 Both bedrooms have private, renovated bathrooms with new vanities, paint, backsplashes and tub/shower combinations. 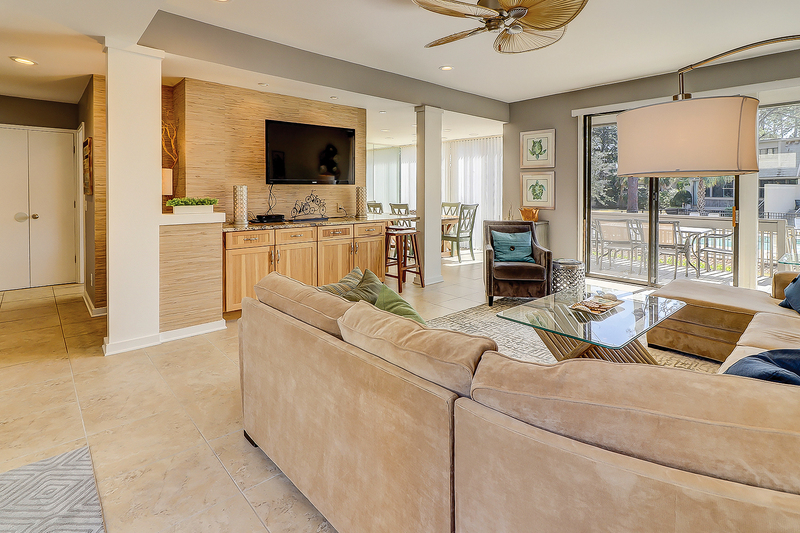 Harbour Town Club Villas are the perfect vacation spot for the whole family. 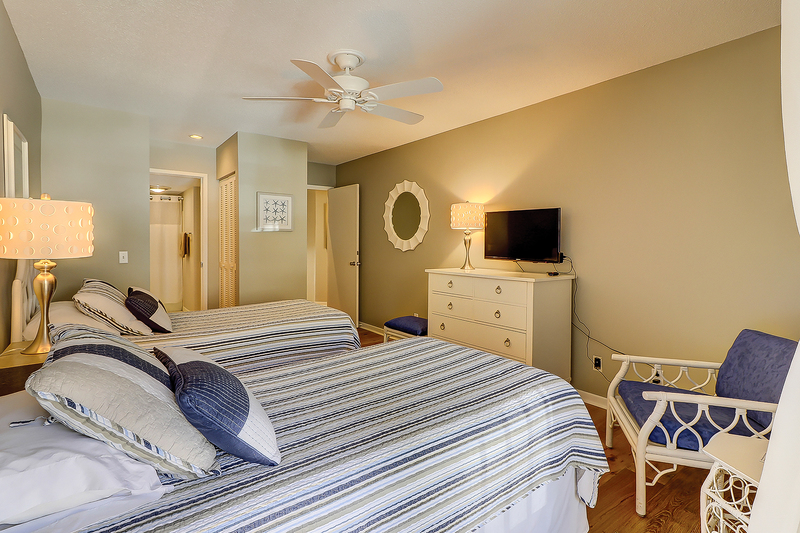 These villas are located just steps from the Harbour Town Lighthouse, shops and restaurants. 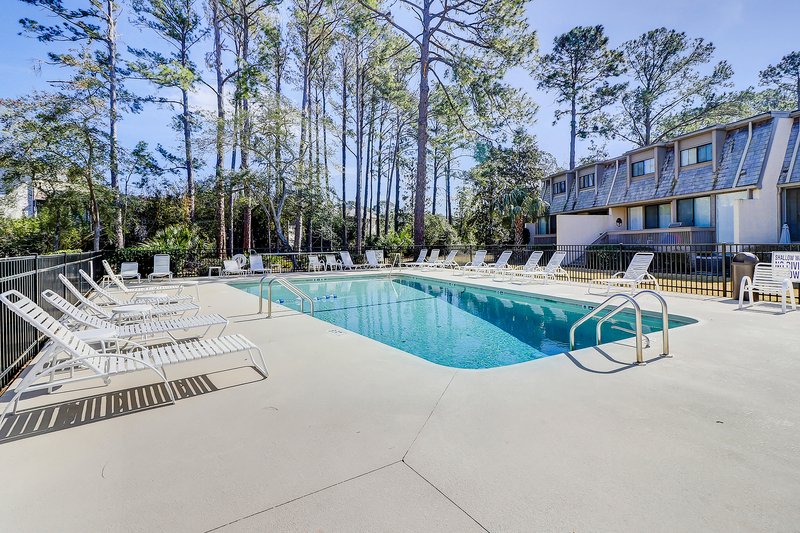 There is also a private pool onsite for guests to use.